FSA Cable TV Service :: FSA provides 80+ channels including local stations, sports, music, news and more. High Definition TV Channels :: We are pleased to carry digital channels on the Fredonia cable television network. 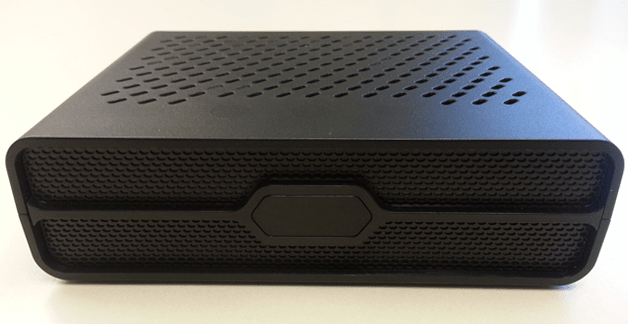 Our cable system requires a TV, DVR or digital conversion box with a QAM tuner. QAM is REQUIRED: QAM is the standard used to encode and transmit digital cable TV channels over coax cable. Many televisions manufactured after 2007 support QAM however, since there is no FCC requirement for QAM support, most inexpensive TV models do not include a QAM tuner. Please refer to the TV's specifications for the existence of a QAM tuner before purchase or campus use. Without a QAM tuner a digital conversion box is required. See Digital Conversion Box Details below. NTSC tuners are NOT compatible: NTSC was the standard analog television system used in the United States from 1941 to 2009. TV manufacturers still include the ability to tune to this type of system because some cable TV companies continue to provide basic programming in analog. 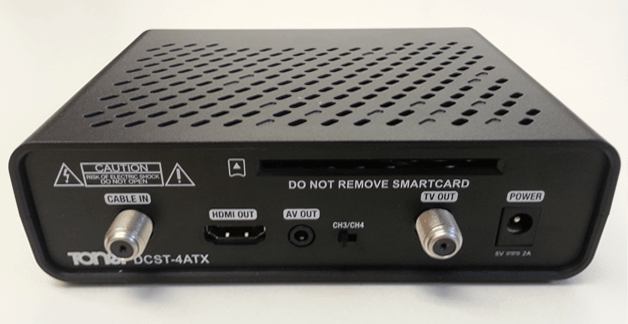 ATSC tuners are NOT compatible: ATSC tuners are tuners that allow over-the-air reception of digital television (DTV) channels transmitted by local television stations. The FCC required all television manufacturers to include an ATSC tuner in all products since 2007, and required television broadcasters to switch in 2009. *Known compatibility list is provided as is and is not comprehensive. For most home cable TV consumers, inexpensive TV models will work fine. This is because cable TV providers typically provide consumers with a "set top box" and a rental/service fee associated to it. This is essentially a digital receiver designed to ensure that the signal is processed correctly and sent to your TV with little to no setup on the consumers part. Shown below is a fully tested converter box available for purchase through the bookstore. FSA will buy back your converter box at the end of the semester or academic year, provided that all equipment is returned in good working order. Buyback value may vary based on items returned and condition of the unit. If you have any questions please don't hesitate to contact a technician through the FSA help desk at (716) 680-6200.